Is Montreal ready for your upcoming event? Prepare to take this world class city by storm with the black and white Montreal Flyer! 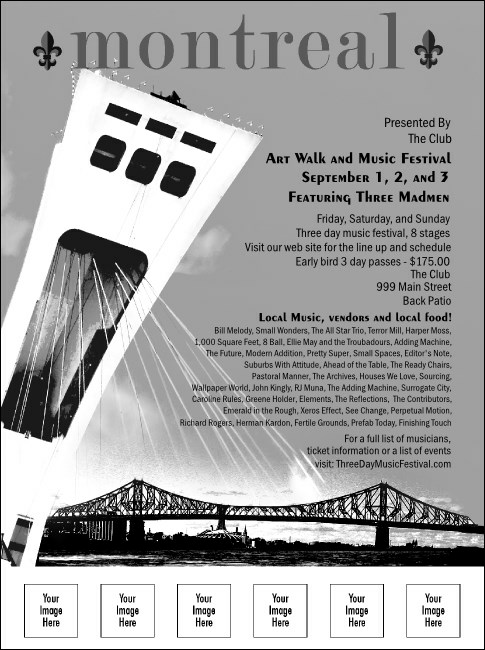 Featuring images of the Olympic Stadium and Jacques Cartier Bridge, this flyer features space for five custom image uploads so you can showcase your sponsors and performers. Make it grand with a matching Event Kit from TicketPrinting.com.